To a mother, Mother’s Day may simply mean a day of slightly less cleaning than a normal day. To sons or daughters, Mother’s Day often means buying flowers and trying to cook their own breakfast for the first time in 364 days. 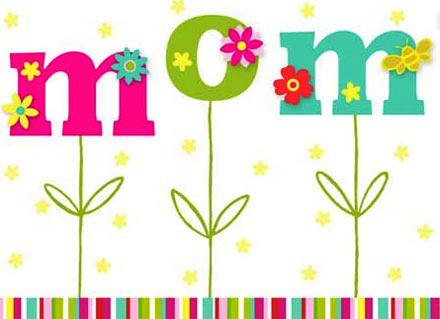 According to reuters.com, there are more phone calls made in the world on Mother’s Day than any other day of the year. Its roots are more humble than one would think, however. History.com shows that Mother’s Day became an official American holiday in the year 1914. However, the struggle to make a national holiday for women dates back a bit farther. Americans had been trying to make a mother’s holiday since the Civil War era. These “Mother’s Days” those people were trying to make were not especially similar to the ones celebrated today but they all carried the same spirit of honoring mothers. Thanks to a passionate woman named Anna Jarvis, Mother’s Day finally went from an informal regional celebration to a national holiday. Interestingly enough, Jarvis had no children of her own and her mother had died in 1905. Jarvis wanted her mother, and every mother, to be honored for their sacrifices. Ultimately, she got President Woodrow Wilson to declare it a national holiday. It would then go on to be worldwide. However, History.com reports Jarvis regretted her decision after just a few years. She eventually tried to have Mother’s Day removed from the calendar. Keisha Williams, single mother’s academic resource team center coordinator at OCCC’s Child Development Center and Lab School, would have agreed with Jarvis to a small extent. “Sometimes I think the younger generation may miss the mark on what it means to truly appreciate a mother,” Williams said. “I think we need to get back to the core of Mother’s Day … . Sometimes it’s not about purchasing elaborate gifts. It can be just showing gratitude. Whether one buys gifts, writes cards, does chores or makes a phone call, the day to mark on your calendar is May 11. Don’t worry. Walgreens will be open. Mother’s Day is Sunday, May 11. Many people may use this day to spend time with their mothers, grandmothers or other women in their lives to show appreciation. An affordable option for Mother’s Day is an easy, do-it-yourself picture board. By purchasing or making a ribbon bulletin board and printing out some of your giftee’s favorite pictures, this is a personalized gift that will add a little touch to her walls that she can enjoy for years to come. Stores like Walmart and Target sell ribbon bulletin boards in various colors for under $20, according to their websites. You could also make the bulletin board yourself with supplies from Marshall’s or Hobby Lobby. Walmart offers picture printing for as little as 58 cents depending on the size and type of pictures. The way the boards are made allows for pictures to easily be added or replaced, so updated pictures will always be an option. If you’re looking for a gift for an artsy type, consider giving her a hand-painted craft or ceramic from Unpluggits, located at 575 Enterprise Drive in Edmond. According to their website, Unpluggits lets customers pick out pre-made crafts and ceramics which range from Christmas ornaments and picture frames, to figurines and more. From there, customers add their own unique touch to the gift by hand-painting it with provided supplies. After you’ve added your giftee’s favorite colors or a unique message, you can take the gift home the same day if you choose a “Paint’n Take” craft. But if you choose pottery, Unpluggits keeps the creation and glazes it in the fire of one of their kilns, and you’ll get it back in a few days. While Unpluggits is mainly aimed as a service toward children, there’s nothing wrong with an adult getting their hands a little dirty to bring a fun, unique and affordable gift to a special person’s life. Prices range from $4 to $50. Groupon.com offers special deals for Mother’s Day, including a 120-minute spa day package for $59, a 51 percent discount from its original $120 value. According to the website, this includes a 60-minute facial, a 30-minute massage and a 30-minute reflexology. The deal is offered from Simple Elegance Massaging and Yoga, located at 8505 S Pennsylvania Avenue in Oklahoma City. The deal can be purchased from Groupon.com but with a limited quantity available, it might not be a good idea to wait until the last minute. For more information, visit Groupon.com.